Come experience the leader in chiropractic care. Come experience The Joint - Greensboro, Friendly Center. Leadership claim based on patient volume. Offer valued at $39. Valid for new patients only. See clinic for chiropractor(s)’ name and license info. Clinics managed and/or owned by franchisee or Prof. Corps. Restrictions may apply to Medicare eligible patients. Individual results may vary. IF YOU DECIDE TO PURCHASE ADDITIONAL TREATMENT, YOU HAVE THE LEGAL RIGHT TO CHANGE YOUR MIND WITHIN THREE DAYS AND RECEIVE A REFUND. (N.C. Gen. Stat. 90-154.1). The best way to contact us is via phone, then email. Wear loose fitting and comfortable clothes. Include any health conditions and any surgeries you have had. In other words, tell your chiropractor about all of your health conditions so that he can help you best. 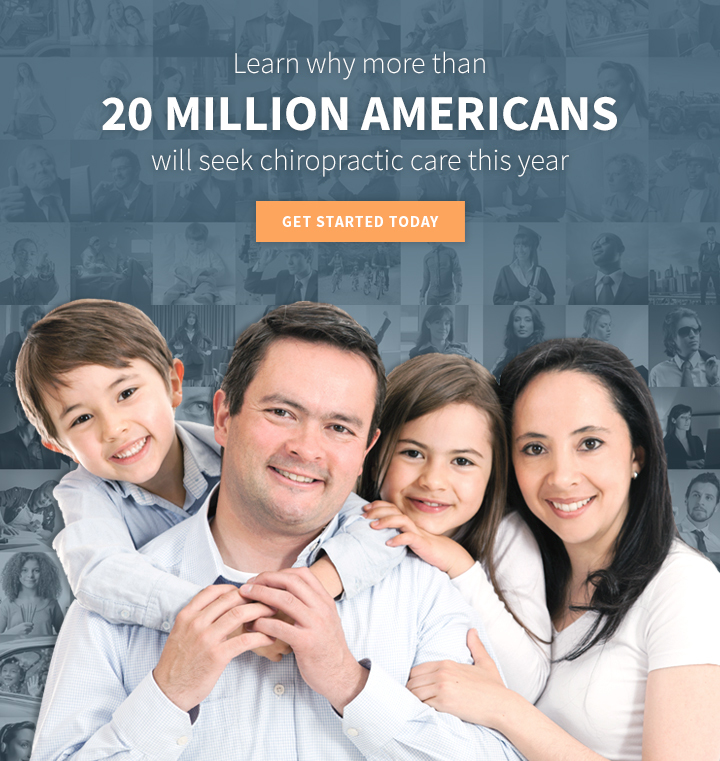 In other words, tell your chiropractor all about your lifestyle and health conditions so that they can tailor your chiropractic care to maximize your health goals. Do Shoe Inserts Help Your Back? Awesome place. The convenience of just walking in anytime, being seen quickly and the skill of the doctor's make it a great value. I have told many of my friends and family, as I know they will be happy with the plans and the results. I sought out chiropractic care because I had been having headaches and a lot of lower back pain. The pain had gone into my hips and down my legs. I now have occasional headaches only. My lower back is 95% better with no hip or leg pain. My pain level on a scale of 1-10 was a 10. After chiropractic, a 2. I would definitely recommend Dr. Nocera and have done so in the past. Everyone should try it to see how much better movement can be. I have learned different ways to sit, walk, and even sleep. I now have minimal pain and enjoy coming for weekly adjustments. The Joint is an easy way to maintain wellness. The doctor is friendly and knowledgeable and always listens to my concerns. The doctor is interested in helping me stay healthy. Amazing! Did not realize how tight I was and my motion was limited. I love all the tips that have helped me! It has been so fantastic and helpful to be seen by Dr. William and Nocera. I recommend The Joint to many – in fact at least four people have come as a result of my results! It is a fine concept, and promotes preventative medical models. Had lower back pain and after visiting The Joint on the regular for just a few weeks, I have had little to no back pain anymore. It has been great not having regular pain and with my busy life and staying so active, getting adjusted regularly has helped me greatly. I first started chiropractic care due to an old injury I got in a car accident. My back was in pain all the time and I couldn’t walk long distances, or stand for long periods without feeling extreme pain in my lower back. Now I feel much better and I can do anything I want without thinking about my back or the pain I would feel. I came here after months of pain due to fractures to my tail bone and sacrum. Conventional chiropractic care was too expensive and too time consuming. After being a member for months, my pain is completely gone. I have fibromyalgia. My fiancee started coming here and talked me into coming. I was in so much pain I couldn’t move my shoulders or upper back. Since I’ve been coming here, I’m walking 4 miles 2 times per week. I feel much better! It has changed my life. I went from being in the house barely moving to enjoying my life. I came to The Joint because I was having severe lower back pain and limited mobility in my shoulders and neck area. Since I’ve been coming to The Joint, my golf game has improved because of better mobility in my swing and less pain in my back. If you want to feel good and have better flexibility, come to The Joint. I have a disability so The Joint helps loosen my body from strain of everyday habits of not always sitting properly. After a workout injury I had lots of neck pain as well. The Joint has helped with these two major issues in my life as well as making me feel better and being able to enjoy my week between visits. Anyone who does or does not exercise should go for purposes of keeping their body properly aligned for better health. It has improved my attitude as well. Chiropractic care has really improved my ability to function better in my every day life. I would recommend The Joint to anyone in all walks of life. Even if you have never had an injury, you would be surprised how much chiropractic care helps with body movement. At The Joint, they genuinely care about your health. I love that they are quick and efficient. I have always had chronic ear infections. I would be put on antibiotic after antibiotic which usually consisted of an allergic reaction. when I found chiropractic I had no more ear infections for almost four years now. From that I have changed my lifestyle completely learning more ways to improve my wellness overall. I was looking to get back into a chiropractic routine and I searched Greensboro for a long time. Many of the places were not worth the price they charged. Then I found The Joint, I feel much better when I regularly visit. The Joint is awesome!!! Back and neck pain have been reduced immensely, the overall health benefits are great. I feel like my body is now operating efficiently. I can always “feel” when it’s time to come back in. There is much fast turn around when I am in pain, chiropractic makes it easier to breathe. I value The Joint because of ease of coming in and out without an appointment, and monthly fees are very reasonable for the level of care given. Due to constant neck and shoulder pain, I have been going to The Joint for several months on a weekly basis. Thanks to the professional and competent chiropractic care, I am nearly pain free and continue to benefit from frequent adjustments. I highly recommend The Joint for one’s overall health and wellness. The Joint has a convenient location. I have been going for 9 months and it has been great! The price and health benefits are great. Chiropractic has helped to bring my back into alignment. I sought out The Joint after an injury from gardening. I had back pain that would not go away and it interrupted my day-to-day activities. Coming for weekly (and affordable) adjustments not only resolved that pain, it helped relieve other leg and arm pain I had from work. I work at an office and typing along with all day sitting takes its toll. I recommend friends to try The Joint because of the affordable cost and great doctors and staff. Honestly, I came to The Joint because I have been a long time patient of Dr. Nocera and didn’t want to look for a new chiropractor. Since coming over, I have thoroughly enjoyed treatments by Dr. Rubin. He’s been just as attentive and concerned as Dr. Nocera always has been. I have now referred my 15 year-old daughter and my sister to The Joint. My daughter loves it and today is my sister’s first visit. My daughter and I always feel better and more relaxed and better able to make it through the week until the next visit. We love it! This location is a North Carolina Chiropractic PC operated and managed by The Joint.